The first building of Villa Nymphaeus is two three-storey modern buildings with autonomous ventilation and air conditioning system, on the ground floor of one of them there is a cozy cafe. 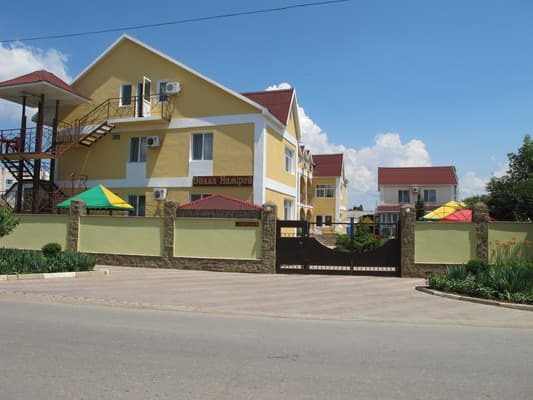 The building is located 150 meters from the Black Sea coast with a beautiful sandy beach. Attentive guests are provided with comfortable rooms with all amenities. Each room has air conditioning, a TV and a fridge. The hotel has rooms equipped with extra bed and soft furniture for the child. All rooms have shower cabins, and in two-room separate toilet and bathroom. Free Wi-Fi is available. Also, guests will be able to use the services provided in the building N ° 2 of Villa Nymphaeus free of charge: a pool with sea water, a shower, sun loungers on the beach. PRICES MAY CHANGE, YOU NEED TO RECEIVE INFORMATION FROM THE OPERATOR! Description of the room: The room has all the necessary furniture: a double bed, or two twin beds, wardrobe and dressing table. Description of the room: Comfortable two-room suite with everything you need for your stay: a double bed, or two combined one-and-a-half beds, a wardrobe and a dressing table. The first building of the Villa "Nympheus" is located in the village. Primorsky - at a distance of 150 m from the sea shore. In 10 minutes walk is the second building of the villa. 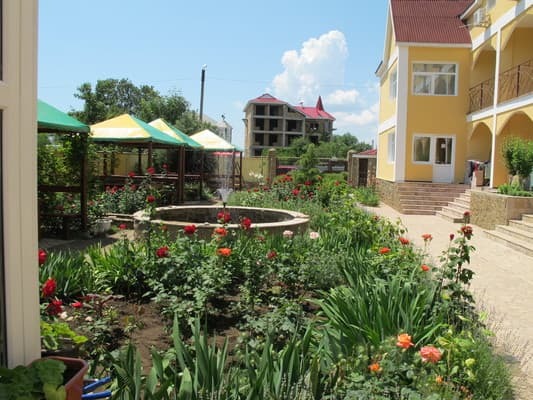 At the request of the guests the hotel owners organize a transfer from Simferopol, Dzhankoy and Kerch. Buses and shuttle buses No. 4, 4A, 4B, 4D will take you from Feodosia to Primorsky in 20 minutes.